You can still watch the first teaser trailer for Ken Marino's Dog Days here, to see a bit more of this. Dog Days is a hilarious and heartfelt ensemble comedy that follows the lives of multiple dog owners and their beloved fluffy pals around sunny Los Angeles, California. 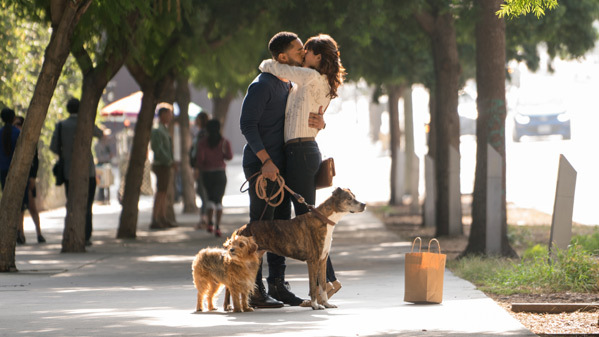 When these human and canine's paths start to intertwine, their lives begin changing in ways they never expected. Dog Days is directed by American actor-turned-filmmaker Ken Marino, director of only the film How to Be a Latin Lover previously, making his second feature film. The screenplay is written by Elissa Matsueda. This has not premiered at any film festivals or elsewhere yet. LD Entertainment will release Marino's Dog Days in theaters everywhere starting on August 10th later this summer. Follow @DogDaysTheFilm for more. Who really wants to see this film?